Much of the time, people look for outside solutions to problems. But when high-potential teams are low performers, the solution may reside inside the team. 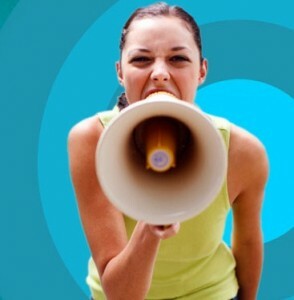 To unleash their full potential, each team member must unlock his or her voice. If you’re a member of that team, then it’s up to you to embrace a personal, sometimes awkward, journey to discover and reclaim your power. This journey is difficult because it forces you outside of your comfort zone. Anytime you go or are pushed past your “edge” of comfort, there is naturally fear and appropriately a sense of risk for where the journey may take you. But we need to find our edge and take a step beyond! This journey starts by admitting that the status quo no longer works. You have to be willing to change, grow, learn, and take the risks necessary to reclaim your power. Said another way, you have to find your voice again. Whether you had it once before and lost it to a bully boss (who had a louder or stronger voice), or you never used your power (maybe you had it as a kid but left it behind in middle school), the truth is you’ve always had your voice—you may not have realized it. Maybe something happened to you last year or at the beginning of your career. It’s time to take it back. It belongs to you. You had your voice at one point. You said whatever was on your mind: the good, the bad, and yes—at times—the ugly. Until at some time in the past, you learned that doing so was not a good thing. Maybe your parents didn’t like your directness, or a teacher was opposed to you disagreeing, or the cultural belief that “there isn’t any room for emotions at work” was firmly implanted. Or maybe you never saw a healthy way of addressing conflict or sensitive conversations. So instead of dealing with conflict in a messy way, you grew to believe it was better to not deal with it at all. We can over-accommodate our boss, a habit that leads us to “self-govern” our expression. When we wait for the boss’s opinion, or in some way hold the belief that it is disrespectful to challenge our boss, we have lost our voice. This personal journey inward to reclaim your power, your voice, needs three pillars to be successful. Just like any trip that you would set out on, you would have a destination, a map to guide you there, and the resources to make the journey. The first pillar for the journey is a destination. The destination is hopefully getting clearer—having more of your voice, your personal power, or greater alignment to your purpose, etc. is destination pro- vides the necessary beacon that is calling you to step into your power, and the vision for what that can be when you get there. We all know the saying, “When the student is ready, the teacher will appear.” A guide on the journey is a crucial part of the second pillar of having a map. We can’t always see what we need to by ourselves. We all have blind spots that we only see when someone else gives us feedback and support. Sometimes that can be a good friend, a member of clergy, a coach, a therapist, anybody that can be trusted to speak to you about things that you may not want to hear. The third pillar of the journey are the resources necessary or, in the case of work, a group to support you with integrating the new behaviors. This can be your team at work, a group of friends that are all a part of an accountability group, or some other form of support group. Change is hard! Accountability and support are crucial to actually integrating the changes that you want in your life in a sustainable way. You will need to leverage the power of the group to make that happen. e third pillar also includes practice and reading to build your understanding and knowledge. ese practices become a way to ground you in how you want to operate each and every day. Without these practices, the inertia of the status quo will slip back into the driver’s seat of your life. You will default to old patterns and the hard work that you’re doing to find your voice will be wasted. This process can be awkward and difficult at times. It’s not as simple as just showing up at work the next day, being vulnerable and transparent with all of your power on the line. You can’t just flip a switch. You will need to work through the different layers of risk, self-limiting beliefs, and other forms of resistance to fully reclaim your power. *Adapted from “The Power of Vulnerability: How to Create a Team of Leaders by Shifting INward” by Barry Kaplan and Jeff Manchester. Copyright (c) 2018 by Barry Kaplan and Jeff Manchester. All rights reserved. This book is available at all bookstores and online booksellers. Barry Kaplan and Jeff Manchester are the authors of “The Power of Vulnerability: How to Create a Team of Leaders by Shifting INward“. As partners at Shift 180, they coach business leaders and their teams to unlock their full potential.